At a point of time when it is taking delivery of the first of six New Generation Boeing 737-900ERs Israel’s El Al airline is coming under financial pressure. Virgin Australia is now 19.9% owned by Etihad Airways, the threshold approved by Australia’s Foreign Investment Review Board in June 2013. The airline also holds equity investments in airberlin, Air Seychelles and Aer Lingus, will acquire 49% of Air Serbia from January 2014, and, subject to regulatory approval, 24% of India’s Jet Airways. In a move that reeks of the old European restrictive routes practice (that is before ‘Open Skies’), Fastjet, the ambitious Tanzanian low-cost airline, has been forced to cancel its maiden flight from Dar es Salaam to Johannesburg just hours before take-off. Earlier in the week the airline’s future looked in grave doubt with major creditor Eni threatening to cut fuel supplies unless the airline could show it had solid financial underpinning. Developed in partnership with Travelport, OAG chose last week’s World Routes at Las Vegas to unveil ‘Traffic Analyser’ aimed at airports, tourist boards and financial institutions. Whilst OAG has supplied data to the airline industry since its early days this new product analyses passengers originating and arriving at a particular airport, load factors on each flight and market size. All data can be presented in a report format or through an integrated mapping function. Toulouse Airport is the first airport customer to sign up and Choose Chicago the initial tourism bureau. Business Travel News recently reported on the country’s most south westerly county and aviation. 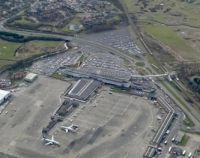 COMMENT featured ‘Crisis for Cornwall’ (BTN 23 September) and the serious consequences with the cancellation of the three times daily Flybe service from Newquay to Gatwick next March. BTN’s words were earnestly taken up by The Western Morning News, based at Plymouth, the distinguished quality clarion of the region. ‘Crisis for Cornwall’ was reproduced in full and the newspaper has run a double page highlighting the problem! Well done Western Morning News. BTN now learns that instead of encouraging airlines back to the former RAF St Mawgan, Cornwall Council proposes to double its unpopular ‘development fee’ for every passenger departure from £5 to £10. Add that to the Chancellor’s APD of £13 per sector and the cost of visiting Newquay by scheduled air services is £36 before you pay a penny to the carrier. No airline will be interested. Will the Scillies route be dropped by Skybus? Cornwall County Council seems to be living in a different world when it comes to aviation. Japan Airlines (JAL) has signed a purchase agreement for 31 A350 XWBs (18 A350-900s and 13 A350-1000s), plus options for a further 25 aircraft. This is JAL's first ever order for Airbus aircraft and is a breakthrough for Airbus in a market dominated by Boeing. The introductory problems of the 787 have not helped Seattle in a fiercely contested competition. Rolls-Royce supplies the engines. The Airport Operators Association (AOA) has confirmed that Sir Howard Davies, Chairman of the Airports Commission (see Sir Howard on stage), has agreed to be a keynote speaker at its Annual Conference on 21-22 October, at the London Hilton Metropole Hotel, Paddington. 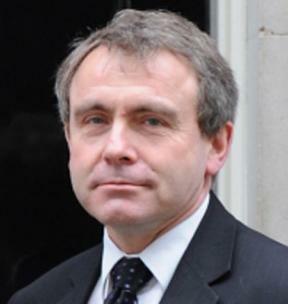 Following the resignation of Simon Burns as Minister of State for Transport there has been a reshuffle in that Government Department. 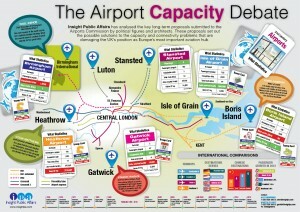 The government decision on where the UK goes as far as London’s future air travel needs are (See Sir Howard Davies on stage) is sprouting plenty of debate. Passengers who use the Brighton main line between London Victoria station, Gatwick Airport and the south coast are being advised of changes to train services over the Christmas and New Year period. With BALPA (British Airline Pilots Association), always a most combative trade union, claiming that pilot duty time could rise to 22hrs, the European Parliament has voted for new flight time rules. "It will bring better protection of passengers and safer working conditions for crew. This is a victory for common sense", EU Transport Commissioner, Siim Kallas, said in a statement. Glasgow’s Prestwick Airport, which has been unsuccessfully on the market since March 2012, is to be taken into public ownership by the Scottish National Party (SNP) led Scottish Government. 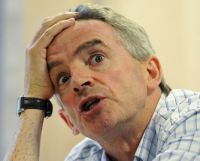 A French court has imposed a €10m fine on Ryanair for employment work law breaches. The airline said it would appeal to the European courts and if that failed would seek damages from the Irish government. A very crowded press conference last week heard from Airport Commission boss Sir Howard Davies regarding progress with the investigative task assigned to him by Government. The Commission is due to publish a short term remedy, no new runways, by the end of this year with the final report due after the 2015 general election. 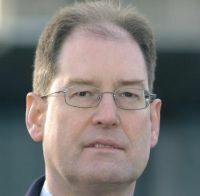 Ian Goold (a senior aviation journalist once of Flight International) has come up with the definitive explanation of the flying hours controversy (see above). Greece's Aegean Airlines has won European Union approval to buy loss-making rival Olympic Air at the second attempt, after a new antitrust investigation found Olympic would close down if the deal was blocked. It is a similar scenario to the BA takeover of bmi. Europe is the target of Air Canada (AC) which is undertaking a major expansion of international services from Calgary, Montreal, Toronto and Vancouver. 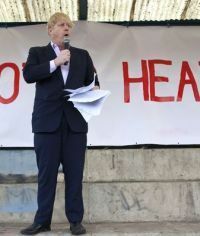 The Mayor of London, Boris Johnson, has warned that he believes building a third runway at Heathrow would result in over 25m extra road journeys that would cause colossal levels of congestion alongside significant overcrowding on trains serving the airport. His comments are even more interesting now that he has stated he would not stand for a third term in 2016. The race to announce the first executive operation lounge at the new Heathrow T2 has been won by Plaza Premium Lounge Management who opened its first lounge at Kai Tak Hong Kong in 1998 and now has 30 worldwide. Once a favourite British Airways (and before that BEA) destination Malta will be back on the BA flight schedule from the start of the summer season 30 March. A daily return flight is to be introduced from Gatwick. The new route will appeal to corporate visitors looking for a Business Class option, whilst the frequency will also be ideal for convention business. 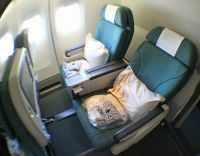 Cathay Pacific Airways is making its popular Premium Economy Class seats available to passengers on 22 regional routes from 27 October 2013. “Our Premium Economy Class has been very well received by our long haul passengers, with many telling us that it is a genuine upgrade in the travel experience as well as being good value for money”, said Cathay Pacific General Manager Revenue Management James Tong. “A total of 74 of our long haul aircraft are now fitted with Premium Economy and, as a third of their flying time is on regional routes, it makes great sense to make Premium Economy available on regional flights”, he added.